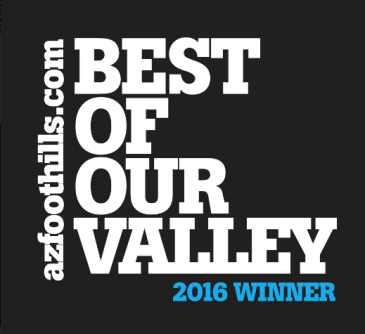 Nestled among soaring saguaros and rugged terrain, high in the Sonoran Desert, is one of North Scottsdale’s most sought-after communities. For many happy homeowners, Legend Trail Scottsdale is a true sanctuary from the flurry of urban life, buffered by acres of pristine state land and surrounded by picture perfect views of the McDowell and Continental mountains. Those who long for the rich and rewarding resort-lifestyle of Scottsdale, coupled with beauty and serenity, find their dreams brought to life in Legend Trail. This master-planned community has it all - exceptional homes, an outstanding golf course, world-class comforts and the perfect setting for an inspired life. The Legend Trail community consists of eight subdivisions, both gated and non-gated, with a total of 824 home sites. Each neighborhood offers a unique charm and atmosphere. From inexpensive luxury condos to expansive custom lots, Legend Trail real estate varies to suit a wide range of home buyers with different needs and preferences. For the affluent buyer seeking a quiet retirement on a golf course, Legend Vista Estates offers custom homes with sweeping views of the fairway. The winter vacationer may find their ideal lock-and-leave condo in the Retreat, just a short walking-distance to the golf course and community center. And there are several home sizes and property types in between, from modest to opulent. No matter what kind of property you seek, you will find that an easy, sophisticated lifestyle awaits you in your home and on the golf course. Legend Trail Golf Club is known for its spectacular 18 hole course, which was designed by Rees Jones. Weaving delicately through the different communities of Legend Trail, this course provides golfers with an unrivaled experience characterized by the immaculate desert views visible from the fairway and a distinct playability that earned Legend Trail a spot in Golf Magazine’s Top 100 Golf Courses. A “Short Trail” and “Long Trail” were designed to cater to a vast range of skill levels and handicaps, from the novice or casual player to the serious golf enthusiast. One of the most attractive features of Legend Trail Golf Club is its daily-fee structure. Without the expense of a golf membership attached to their real estate purchase, residents have the option of playing at home or becoming a member of any nearby clubs. 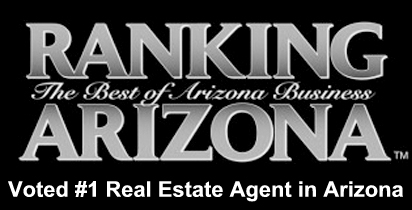 These include the prestigious Mirabel Club, Desert Mountain, Estancia or Troon Country Club. The number and variety of Scottsdale golf clubs within just a few minutes of Legend Trail is another reason that it is so popular with avid golfers. Golf is not the only activity available to Legend Trail residents either. Legend Trail is a diverse community full of homeowners with varying interests and hobbies. For non-golfers, a 10,000 square-foot community center and miles of walking and biking paths provide endless recreation. The community center features a well-appointed fitness facility, two-lighted tennis courts, a basketball court, two swimming pools and a spa, as well as a game room and library. Residents are also able to participate in several social clubs or simply gather and mingle at numerous events and hosted at the community center throughout the year. Those who prefer the outdoors can explore miles of scenic trails and enjoy the calm surroundings and desert flora. If you can’t wait to unwind and live every day like a grand vacation, call Carmen Brodeur today to schedule a private showing of Legend Trail homes for sale. Carmen can be reached at (602) 791-0536 or at Carmen@TopScottsdaleHomes.com.